It’s time to sit up and take notice of Greece for more than just its economic woes, says National Geographic Traveller (UK). Its April issue explores Greece’s creative renaissance, talking to the artists, musicians, chefs and entrepreneurs who are taking risks, turning traditions on their head and pursuing their dreams, despite — or perhaps because of — the harsh realities of the financial crisis. This comes on the back of a reported recent spike in demand for Greek holidays among UK travellers. 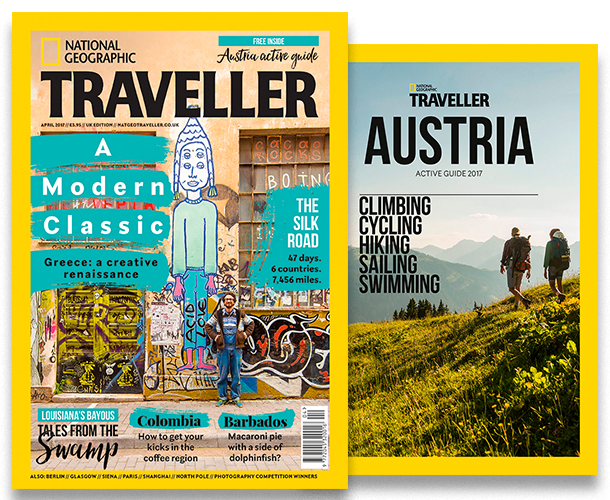 The April issue of National Geographic Traveller (UK) hits the newsstands in a week when several UK operators have reported an upsurge in Greek bookings. Kuoni is reporting a 30% year-on-year increase in bookings, while Thomas Cook has seen a 40% rise in Greek holiday bookings across the group (for its UK, Nordic and Continental Europe markets). 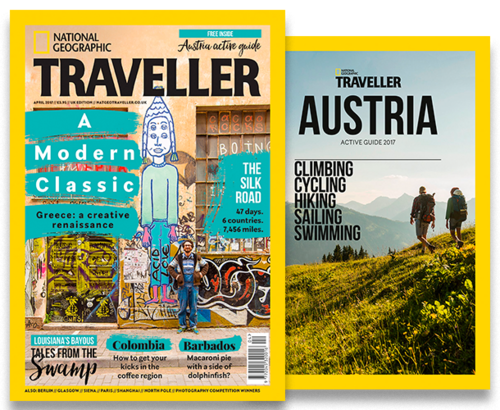 Meanwhile, the April 2017 edition of the magazine comes with a FREE Austria active guide. Destinations: We explore the colours of Colombia; traverse the ancient Silk Road; head to the bayous of Louisiana; and spend a long weekend in Macedonia. Cities: Our urban highlights this issue include Paris, Shanghai, Berlin and Glasgow, while our picture story captures Siena’s famous Palio horse race. Smart Traveller: Jordan’s new 370-mile trail, the best rooms in Rotterdam, a pop culture tour of Tokyo, Hampshire’s bountiful produce and Hull, the 2017 City of Culture. Author Series: Garrett Carr on Ireland’s border. Travel Geeks: Ask the Experts includes advice for first-timers to Hawaii and on house swaps, plus tips on photography and navigating naturally.